Food commodity markets are becoming more balanced and less price volatile than in recent years thanks to improved supplies and a recovery in global inventories of cereals, according to FAO's Food Outlook report. "The prices for most basic food commodities have declined over the past few months. This relates to production increases and the expectation that in the current season, we will have more abundant supplies, more export availabilities and higher stocks," said David Hallam, Director of FAO's Trade and Markets Division. Global stocks, ending in 2014, are also anticipated to increase, by 13 percent, to 564 million tonnes, with coarse grains alone up by 30 percent, mostly in the United States. 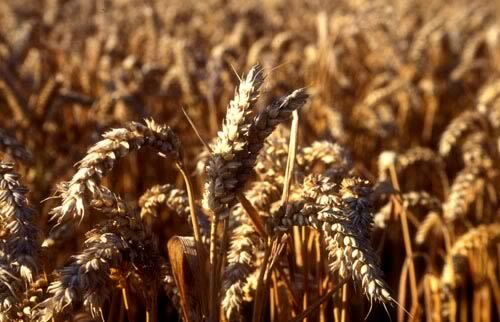 Wheat and rice stocks are also projected to rise, by 7 percent and 3 percent respectively. The expansion in world cereal stocks would result in the global cereal stocks-to-use ratio reaching 23 percent, well above the historical low of 18.4 percent in 2007/08. In 2013, the world food import bill is set to decline by 3 percent to $1.15 trillion, with import costs of cereals, sugar, vegetable oils and tropical beverages falling, but dairy, meat and fish remaining firm, according to FAO's latest Food Outlook. The FAO Food Price Index, also published in this report, rose slightly in October, averaging 205.8 points. This was 2.7 points, or 1.3 percent above September, but still 11 points, or 5.3 percent below its October 2012 value. The slight increase was largely driven by a surge in sugar prices, although prices of the other commodity groups were also up. Cassava - World cassava output is expected to increase for the fifth consecutive year and to reach 256 million tonnes in 2013. The expansion is being fueled by rising demand for food in the African continent and increasing industrial applications of cassava in East and Southeast Asia, especially for ethanol and starch. Sugar - World sugar production is forecast to increase only slightly in 2013/14. The rise is likely to be limited in Brazil, the world's largest sugar producer and exporter, where unfavourable weather conditions have hampered harvesting operations. World sugar consumption is set to grow by about 2 percent in 2013/14. Meat - World meat production is anticipated to grow by 1.4 percent in 2013. Prices have remained at historically high levels since the beginning of 2011. There is no sign of overall price decreases, despite reduced feed costs. Dairy - World milk production in 2013 is forecast to grow by 1.9 percent. Asia and Latin America and the Caribbean are expected to account for most of the increase, with only limited growth elsewhere. International dairy products prices have declined from their April peak, but still remain at historically high levels. Fisheries - Aquaculture continues to boost overall fish supply, pushing quotations down from earlier levels. Fish consumption per capita keeps growing, with aquaculture in the process of overtaking capture fisheries as the main source of supply for direct human consumption.